Entrepreneurs, sporting greats, successful business-people alike and inspirational, seemingly perfect parents are always asked this very question at some point in their aspirational journey, “What is the secret to your success?” Inevitably, their responses boil down to a few key, consistent elements: hard work, resilience, and a strong team or family culture. The culture of your workplace and home life inevitably crosses over and determines how people behave and interact with each other professionally and personally. 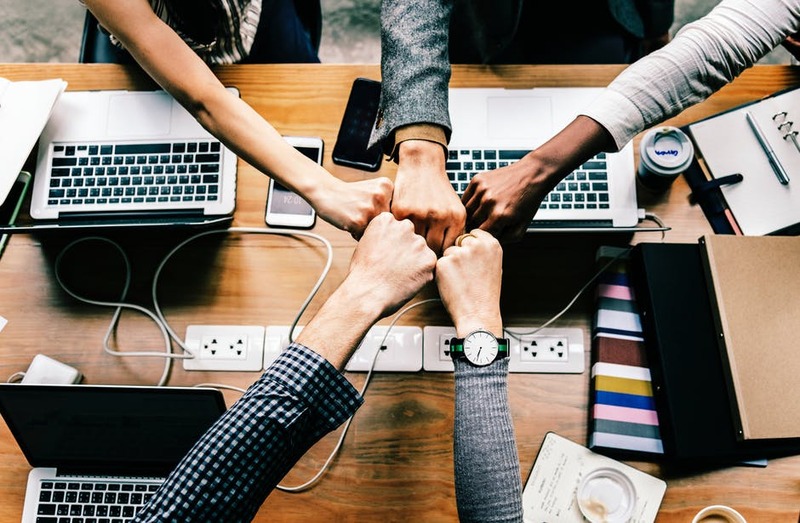 For the purpose of this article, let’s look at the principles behind a positive workplace culture, garnering effective team building fundamentals, as many parallels can be drawn so as to improve the culture at home. Building strong teams is the foundation of any successful company and is an area of business that is sometimes undervalued. All managers understand the importance of team building, but often do not proactively tackle the task of building one. Team building activities are a proven method for increasing team morale, communication and trust. Navigating a trampoline and climbing park offers the perfect combination of communication, trust and fun for your team. A positive workplace culture results in environments centred around trust, respect and camaraderie. As you would expect, such an environment fosters high employee retention and the improvement of individual and team performance. The flow-on effect is your positive culture signals to the broader market that you’re an employer of choice which is something to be proud of! On the flip-side, negative culture can be like a snowball which gathers momentum the longer it goes on and has the potential to cause unwanted harm. Therefore, dealing with small cultural issues before they snowball into more concerning and costly headaches is paramount. Repercussions of negative culture usually results in claims of bullying and harassment, generates high staff turnover, poor individual performance, loss of clients and creates a toxic environment where people don’t want to work. If your organisation has a ‘negative cultural snowball’, seek improvements fast. Culture Stems From The Top…Down. There is no magic formula for amazing company culture. The key is to treat your staff how you would like to be treated. Culture however, is largely influenced by the leaders of the business and stems from the top, down. The manner in which leaders and senior management behave will dictate the actions and words of others. Therefore, assessing the behaviours of your managers (and yourself) is an important place to start when trying to improve workplace culture. From there you may need to invest in training, team building activities, counselling or even replacing certain individuals so you can create a more positive environment. What Do Strong Leadership Qualities Look Like? Effective and successful leaders are good communicators who speak to employees in a respectful and polite manner. When performance issues arise, they are dealt with in a non-demeaning manner. Talking with people and not at them is the key to effective two-way communication. Workplaces globally, are becoming more diverse, therefore, employee issues are getting more complex. Managers must understand people come from different backgrounds and often have differing views and values about how they should be treated. By getting to know employees, managers are more likely to develop valuable individual relationships. If you invest the time in building connections with your team including cross departmentally, you will create a more positive work environment. Successful managers recognise individual and team achievements. It’s human nature for people to seek validation and acknowledgement which is why effective recognition from line managers can encourage employees to strive for greater success. Employees do understand organisations cannot always financially reward people for over achieving, but they still need to be recognised for their efforts. This can be done verbally, via email, through company newsletter or intranet/noticeboards. Consistency and transparency are key criteria for effective leadership too. Employees expect fairness and equality in their workplace. Unreliable expectations, varying standards or favouritism will not only contribute to a poor workplace culture, but will also foster destructive relationships between colleagues. Creating team building or enjoyable activities in your workplace isn’t only the role of the HR team. Leaders know their team well and are best positioned to develop effective ideas for events or undertakings that their teams will enjoy and embrace. A positive and productive workplace will propel an organisation to greater achievements. Hopefully you can implement or follow many of these suggestions garnering greater employee appreciation and a more positive workplace environment.